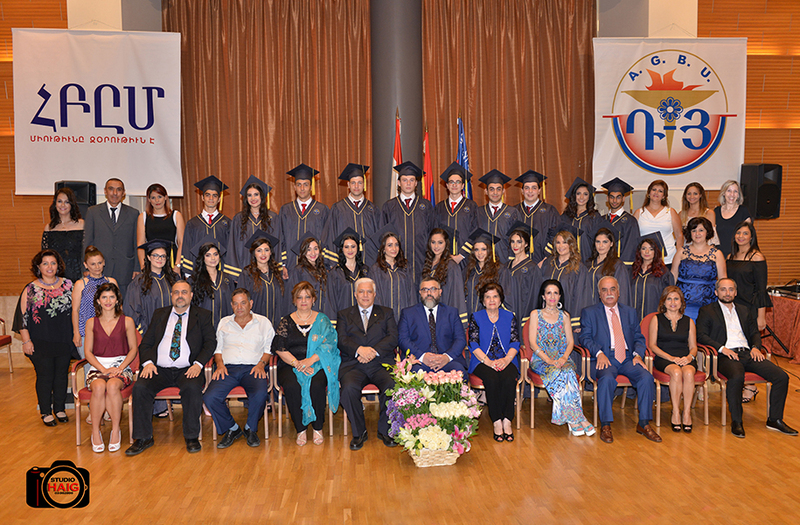 On July 2, 2017, the AGBU Tarouhy-Hovagimian Secondary School held a graduation ceremony for 22 students at the AGBU Demirdjian Center. 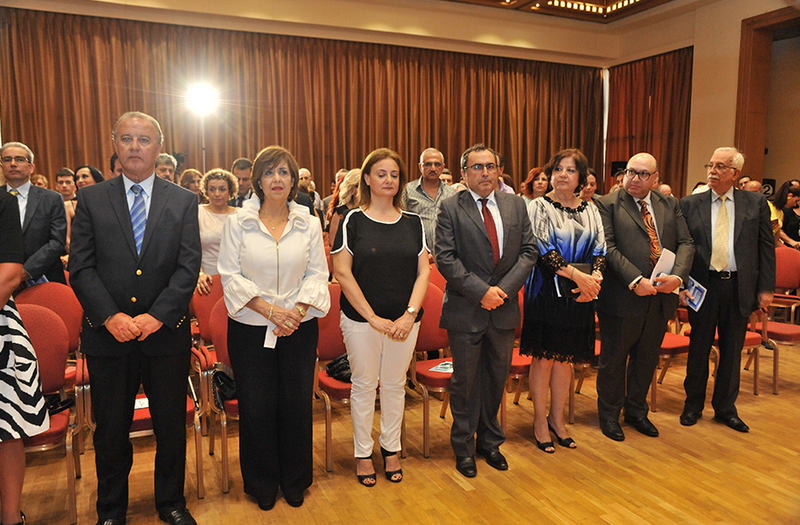 The ceremony was attended by special guests, including Silva Libaridian and Hovig Vartanian, AGBU Lebanon District committee members; Lena Urneshlian, AGBU Education Committee chairperson, as well as AGBU members, parents and teachers. 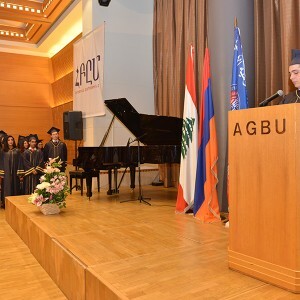 In his welcome speech, Ara Vassilian, the principal of the school, talked about the outstanding performance of the graduates and the formative role of the school in their lives. 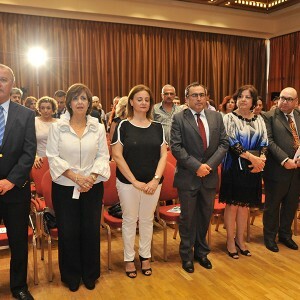 He then mentioned that in the upcoming 6 years, the AGBU Lebanon Schools, in partnership with EDUVATION (Education Innovation) School Network, will integrate e-books and related interactive technologies into the teaching and learning process, to enrich the curriculum particularly in the elementary grades. By 2023, all students in grades 1 through 6 will be using e-books and corresponding software into instructional practices for English, Arabic, Mathematics, French, Science and Social Studies. 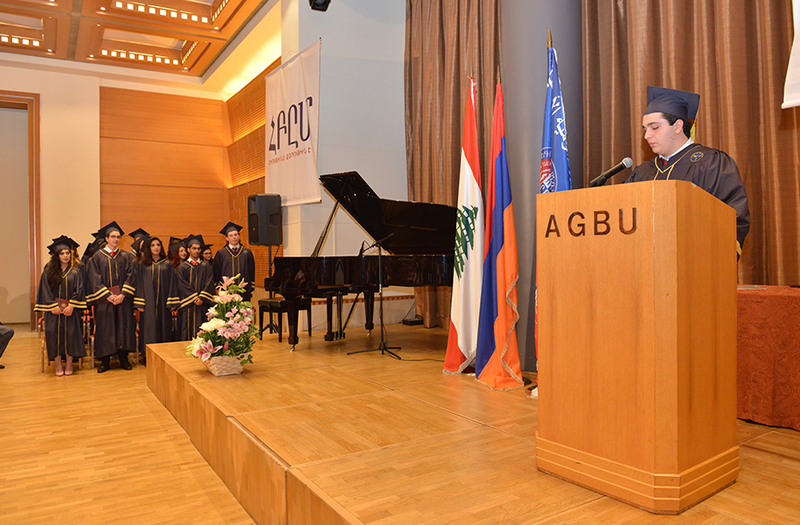 After Vassilian’s speech, AGBU Schools alumnus Maitre Roupen Avsharian addressed the audience as the keynote speaker, commending the school and emphasizing the importance of good schools in students’ lives. Graduating students Jirair Tossounian, Arev Seferian, Sophie Dishakjian, Lucy Tabakian, Palig Georgian then delivered words of gratitude to the audience. Students Maria Torossian and Nina Rita Beuyukian enriched the artistic program of the commencement ceremony. 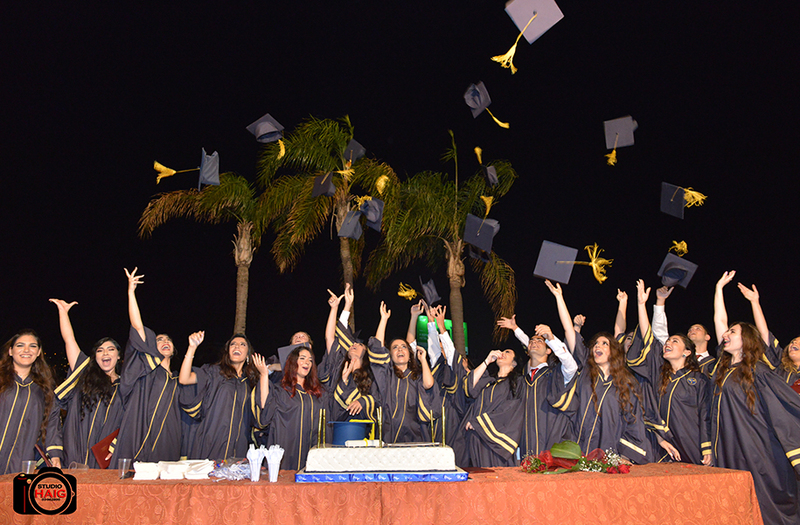 After the speeches, the graduates walked across the stage to receive their diplomas and awards. The event closed with a cake cutting ceremony, a school tradition. 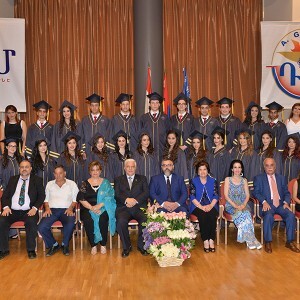 In 2000, the Tarouhy Hagopian School for Girls and the Hovagimian-Manougian School for Boys merged to form the AGBU Tarouhy-Hovagimian Secondary School, well-known in the Armenian community for its high quality of education. The school seeks to provide youth with lifelong skills that help them achieve success in work and life and gives high importance to the Armenian language and heritage.